"Four years ago, when we began this adventure which essentially came about due to our inquisitiveness towards knowing how other architectural studios approached a blank page, we didn’t spend much time thinking about where we might end up. 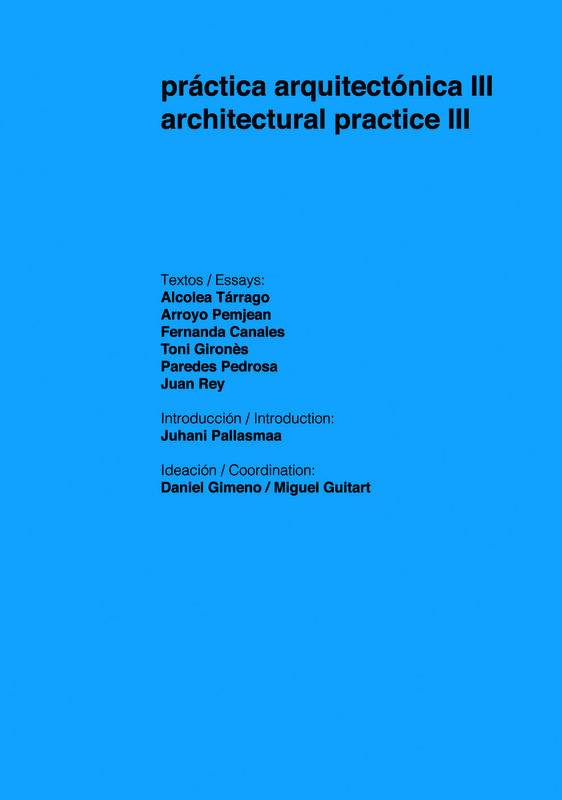 Now, with the publishing of this third volume of Práctica Arquitectónica / Architectural Practice, we have accumulated twenty texts and twenty visions, twenty teaching methods and twenty ways of designing. The number twenty has solidified into a theoretical reference point of increasing value to students and architects. Three books with a total of almost six hundred pages which whisper to the readers,transporting them to an intimate place which has inspired the works of some of the most outstanding architects of our time. The series of texts has now acquired a certain elegance, a discrete coming of age which shall be reinforced in the future instalments that are already underway, becoming a watchtower for potential works of architecture, in deep continuity with the best architectural culture." Purchase Architectural Practice III here. "Sometimes we might wonder whether this or that essay, whether this or that introduction, are not drifting away from the specific heading of the AP series. The answer would be ‘no.’ All of them have their place in the thread of experiences, visions, and generous contributions to this common reflection that continues to increase its critical mass. Thus, the series will expand with upcoming issues, simmering slowly, little by little, carefully working on every detail. We will search for even more talent, uniting it under a single purpose: the loving commitment to a life built around architecture." Purchase Architectural Practice II here. but they are always designed for a whole array of functions and made to measure for each region and for each person. The review of architectural filters presupposes the experience of the deep spatial emotion that they determine, the ascertainment and registering of the aforementioned invariants. The proposal of the author is to rediscover and deepen on these ideas of filtering, porosity and osmosis. The text wants to be an invitation to reintegrate them from timeless architecture into theory and practice of current architecture, as an analytical tool and a creative mechanism inherent to the architectural design." Purchase The Depth of the Skin here. "En un tiempo como el actual las nuevas opciones de trabajo no parecen ayudar a definir con claridad un panorama con referencias de rigor que faciliten la certidumbre y un obligado compromiso en esta ciencia poética que se desvirtúa a veces como un arte menor. Para ahondar en este camino borroso se propone un ejercicio de exploración de invariantes básicos que siguen constituyendo el armazón de la arquitectura auténtica: la materia, la luz, la estructura, la emoción. Se trata de que el objeto de estudio que aquí se presenta tenga como base aquellas cuestiones que son esenciales a la arquitectura como poética y como técnica. En la exploración de dichos invariantes, el texto propone la recuperación explícita de unas estrategias que son tanto atemporales como ahistóricas. Los filtros de mirada y luz pueden encontrarse en muchas culturas y bajo muchos signos destinados a toda una variedad de funciones resueltas según la medida de cada región y de cada hombre. La revisión de los filtros arquitectónicos presupone no sólo una experiencia de la emoción espacial determinada por los mismos, sino la constatación y el abanderamiento de estos invariantes como conocimiento del proyecto y como mecanismo de creación carente de frivolidad capaz de ofrecer lo más sensato y poético al hombre. Trabajar con estos invariantes debería garantizar una investigación desde el rigor y la responsabilidad y su constante pulsión viene a confirmarse de nuevo hoy en el auge de la arquitectura actual. Nuestra propuesta es redescubrir esos filtros." 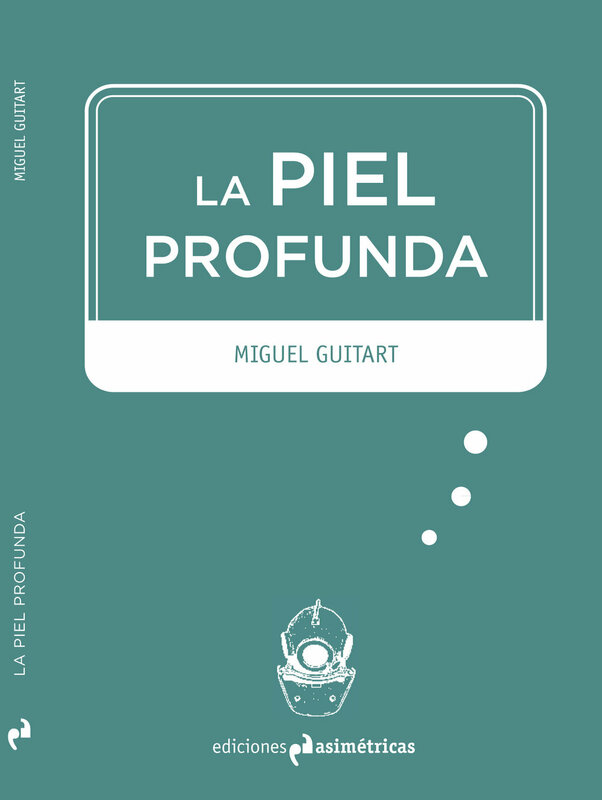 Purchase La Piel Profunda here (Spanish only). Emak Bakia! 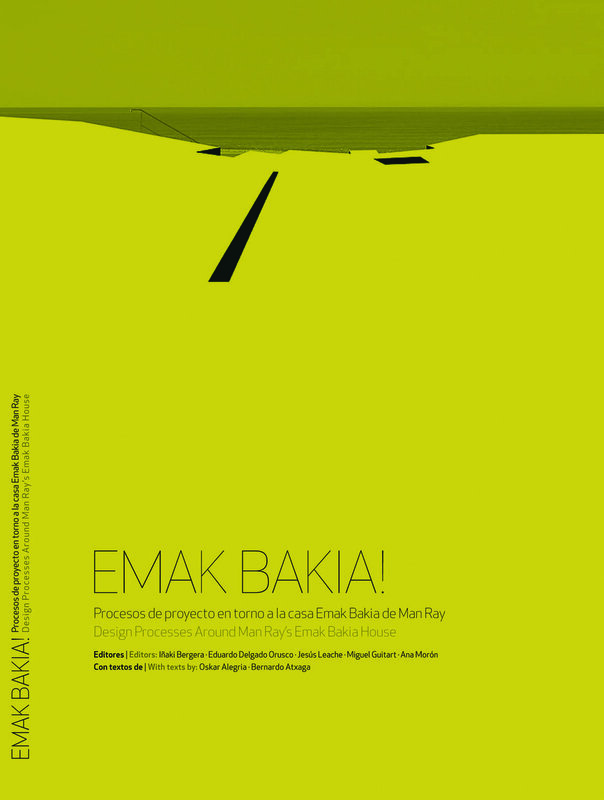 Design Processes Around Man Ray’s Emak Bakia House is a publication that presents a teaching experience carried out in the Fall semester of 2014 in the context of the core Design Studio Proyectos 2 at the School of Engineering and Architecture, University of Zaragoza. The film Emak Bakia Baita (2012) by Navarre director Oskar Alegria explores the search of a house in the French Basque coast where the surrealist artist Man Ray filmed a short movie of the same title in 1927. Starting from there, the students are asked to accomplish an architectural project that focuses on the evocative, visual, artistic, methodological and creative effects subjacent in both extraordinary reference films. The chance and the search —understood almost as an end in itself— are in this case the arguments that drive the first steps of the design learning experience of the architecture students. difusión académica y la divulgación profesional.Los equipos de arquitectos reunidos en la presente edición presentan unas cualidades sobresalientes tanto en su práctica profesional como en su dedicación académica. Son estudios que se caracterizan por tener un triple planteamiento de inquietudes dirigido a la docencia, la investigación y la práctica profesional, pero que también tienen en común un marcado compromiso con el rigor en cualquiera de sus posibles acepciones, y por ello, sus aportaciones se encaminan inevitablemente hacia distintas formas de servicio, belleza y felicidad." 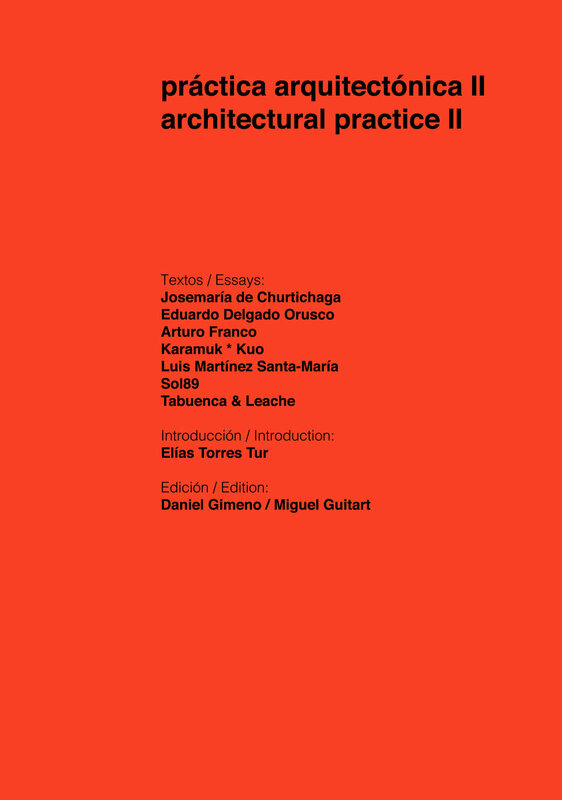 Purchase Architectural Practice I here (Spanish only). This edition presents a compilation of the most significant work from the Design Studios across all levels of the School of Architecture at the Universidad Pontificia de Salamanca Campus Madrid from the academic year 2011-2012. The faculty who coordinated the studios were Israel Alba, Francisco Alonso, David Archilla, Eva Gil, Miguel Guitart, Pablo Martínez Capdevila, César Moreno, Carlos Palacios, Mara Sánchez Llorens, Susana Velasco, and Izabela Wieczorek. The volume was coedited by Daniel Gimeno and Miguel Guitart. This edition presents a compilation of the most significant work from the Design Studios across all levels of the School of Architecture at the Universidad Pontificia de Salamanca Campus Madrid from the academic year 2010-2011. The faculty who coordinated the studios were Israel Alba, Miguel Guitart, Arturo Franco, Idoia Otegui, Rafael de la Hoz, Susana Velasco, Bernardo Angelini, Izabela Wieczorek, Pablo Martínez Capdevila, Francisco Alonso, Eduardo González, David Archilla, César Moreno, Carlos Palacios, and Eva Gil. The volume was coedited by Israel Alba and Miguel Guitart. Purchase Proyectos UPSAM 2011-2012 here (Spanish only). As part of the celebration for the 20th anniversary of the Spanish Fulbright Alumni Association, this book was designed to document the experiences gathered by the Association's members over two decades. A copy of the book was given to the widow of Senator J. W. Fulbright, Ms. Harriet M. Fulbright, in Washington D.C. The J. W. Fulbright Program received the Prince of Asturias Award for International Cooperation in 2014, one of the most important awards in Spain, from Felipe VI King of Spain.